Stools in black and white brush, upholstery and wool; coffee table and console in hand knit brush, blued steel and walnut wood. Credenza in oak hardwood, brass, marble and chopped leather with the artisan technique of “Papel Picado”. Side tables in banak hardwood, stainless steel, red cedar hardwood, brass tzalam hardwood and copper. Stool and table in concrete, black quarry and tzalam hardwood. Canteen and bar with grey mirror, ironwork and fine details in tzalam and red cedar hardwood. Canteen and bar with grey mirror and fine details in tzalam hardwood, poplar wood and lacquered MDF. Bookshelf, stools, desk and console in hardwood, varnish, ironwork, anilines and woven palm. Credenza made in varnished tzalam and red cedar hardwood with fine ironwork details and sheets. Mirrors in artisanal terrazzo and peltre. Designed in collaboration with Brazilian designer Guilherme Wentz. Wardrobe in walnut hardwood, chopped leather and ironwork. Stools in tzalam hardwood, colored lacquer and detailed ironwork. Low stools in tzalam hardwood, poplar wood and concrete. 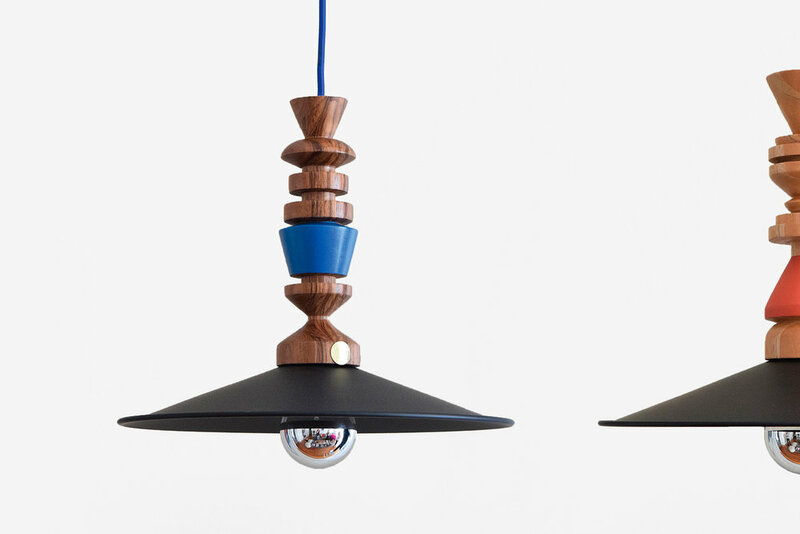 Lamps in tzalam, red cedar and walnut, lacquer and aluminium. Lights, table and accessories in plywood. Bookshelf in parota, tzalam and walnut hardwood.